ASB Workers’ Compensation Fund member districts and education co-ops have received their free AED units. As a leader in school risk, ASBSD and the Protective Trust granted a Zoll AED Plus free of charge to Workers’ Compensation Fund members. The Zoll AED Plus includes a CPR component unique to AED units and has a shelf-life of 5 years, running on 10 Duracell batteries. “The AEDs are a great investment in our school districts and we’re thrilled to have been able to provide these devices to our members,” ASBSD CFO and ASBPT Director Matt Flett said. 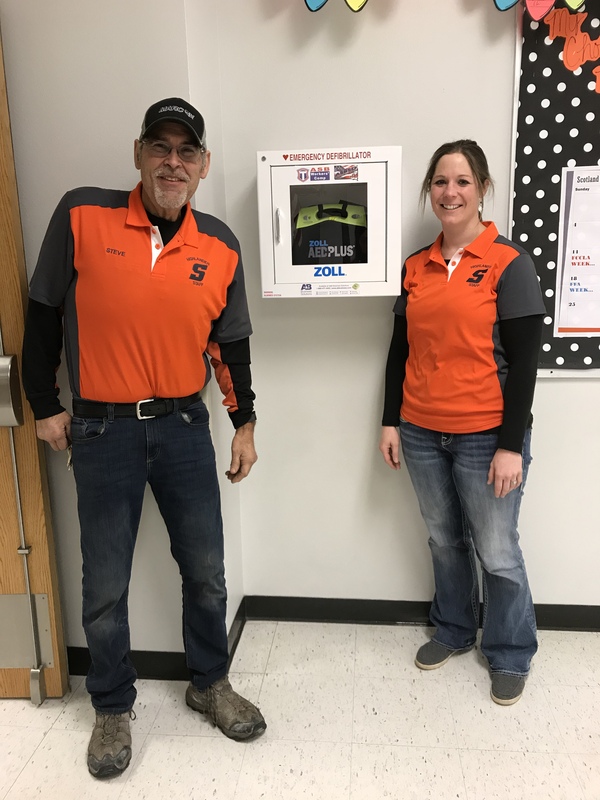 Work Comp member districts are able to place the Zoll AED Plus in their schools thanks to the wall cabinet mount that’s included and we encourage your district to send a picture of where you’ve placed your AED unit to Tyler at tpickner@asbsd.org so we can share it on our website, Twitter account and Facebook page. Scotland School District’s wall mounted AED unit. ASBSD and the ASB Workers’ Compensation Fund partnered with A&B Business Solutions to bring these AEDs to the Work Comp member districts and were able to obtain pricing with savings greater than the same units on the state bid list so that school districts can purchase additional AEDs from them. If you would like to learn more about the Zoll AED Plus units or the ASB Workers’ Compensation Fund contact Matt at mflett@asbsd.org or 605-773-2515.